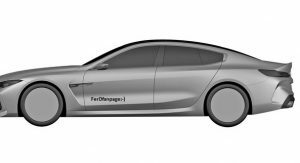 BMW is having a hard time keeping the design of the new 8-Series Gran Coupe and 8-Series Convertible a secret, as both of them have already leaked thanks to a set of patent images. 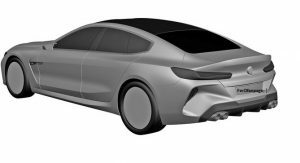 Now, new and supposedly official renderings provide us with a first look at the M8 Gran Coupe as FerdFanPage has gotten its hands on three pictures that reveal the bold look of this Mercedes-AMG GT 4-Door Coupe challenger. Compared to the BMW 8-Series Gran Coupe, the M8 derivative sports a new front bumper with large air intakes, different side gills and one mean-styled rear bumper with incorporated diffuser and quad tailpipes. It also sits closer to the ground than the four-door 8-Series, rides on larger wheels and comes with smaller side mirrors. The BMW M8 Gran Coupe is expected to be powered by a twin-turbo 4.4-liter V8 engine. In the new M5, it’s good for 600 PS (592 hp / 442 kW) and 750 Nm (553 lb-ft) of torque, whereas in the Competition, it adds another 25 PS (25 hp / 18 kW), although it’s unknown whether it will be massaged to produce even more in the M8. Going from naught to 100 km/h (0-62 mph) is expected to take just a little over 3 seconds, with something like the Mercedes-AMG GT 4-Door Coupe needing 3.2 sec in the ‘S’ flavor. Meanwhile, top speed will likely exceed 300 km/h (186 mph). Since BMW is likely to unveil the 8-Series Gran Coupe next year, this M8 version will probably trail it by a few months. 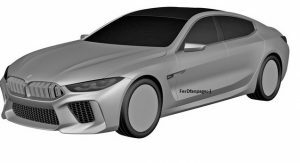 There are currently no comments for BMW M8 Gran Coupe Leaks In Alleged Patent Images.